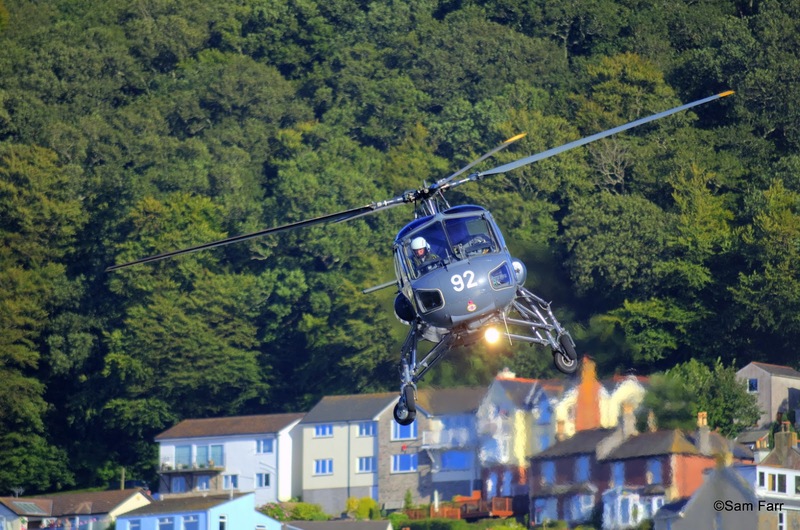 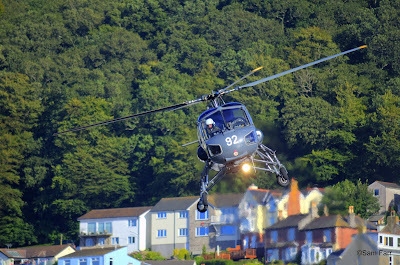 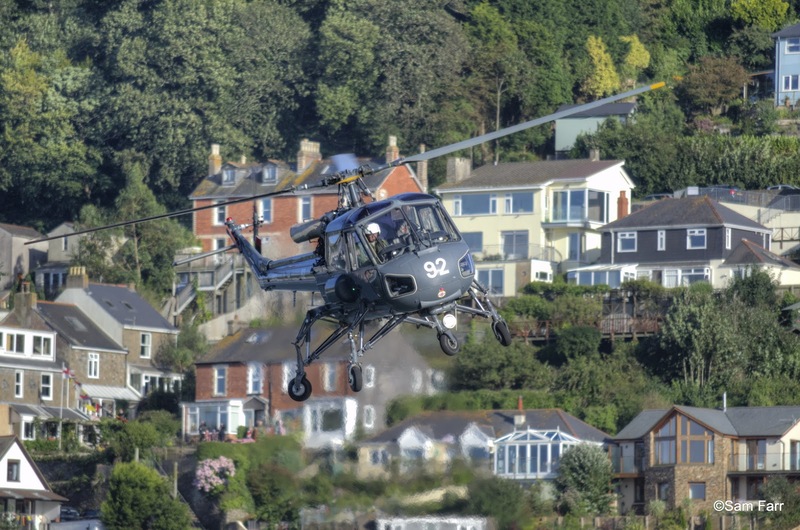 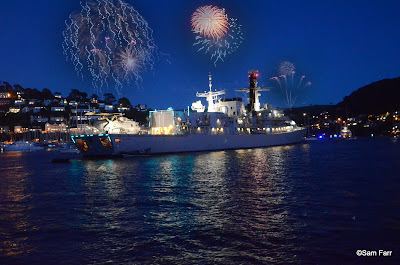 During our wedding anniversary trip to Devon we visited the Port of Dartmouth Regatta for a boat trip on the Dart to watch the fireworks. This picture has been digitally altered as you can't shoot fireworks from a moving boat. 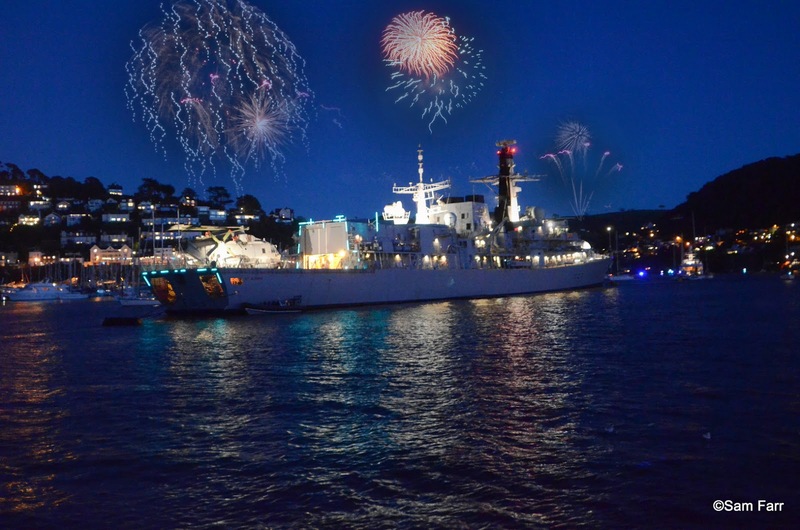 Guard ship for the regatta was the well armed St. Albans, a Type 23 Frigate with a displacement of 4900 tonnes. 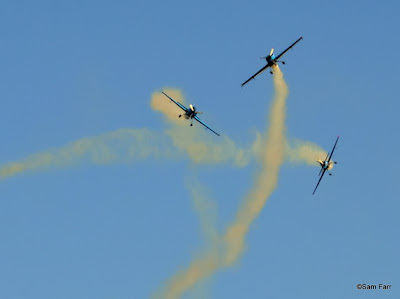 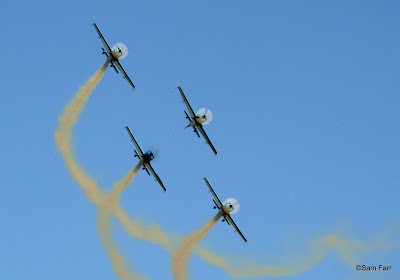 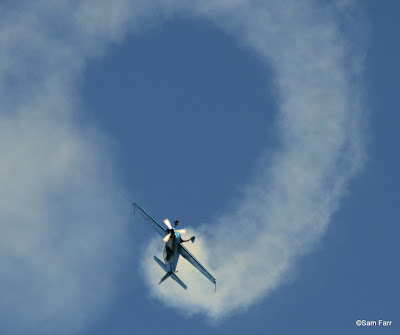 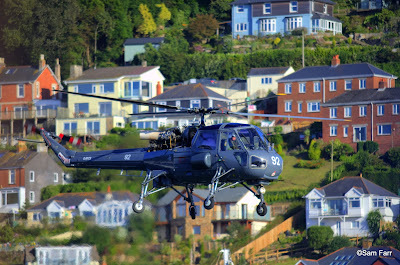 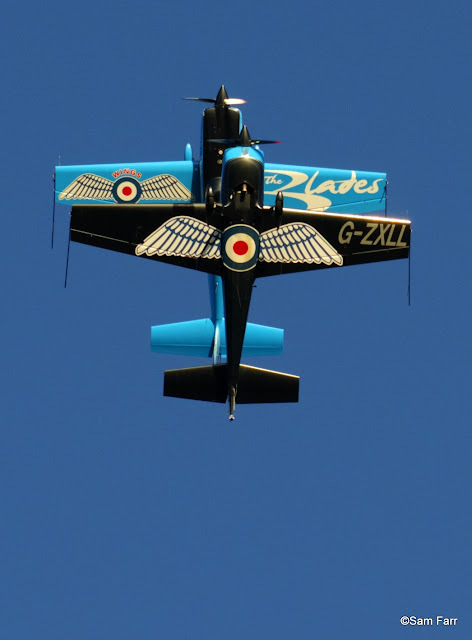 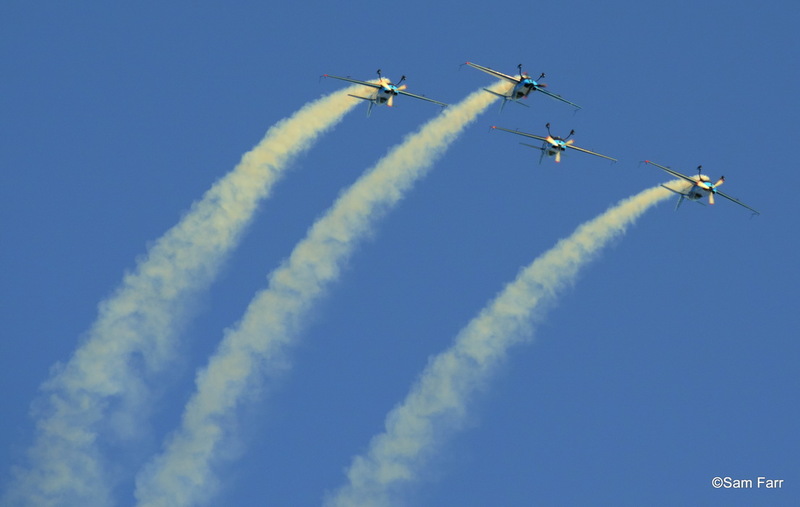 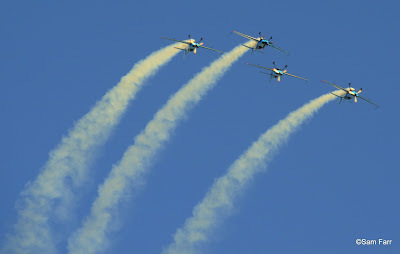 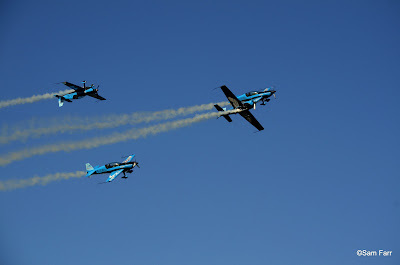 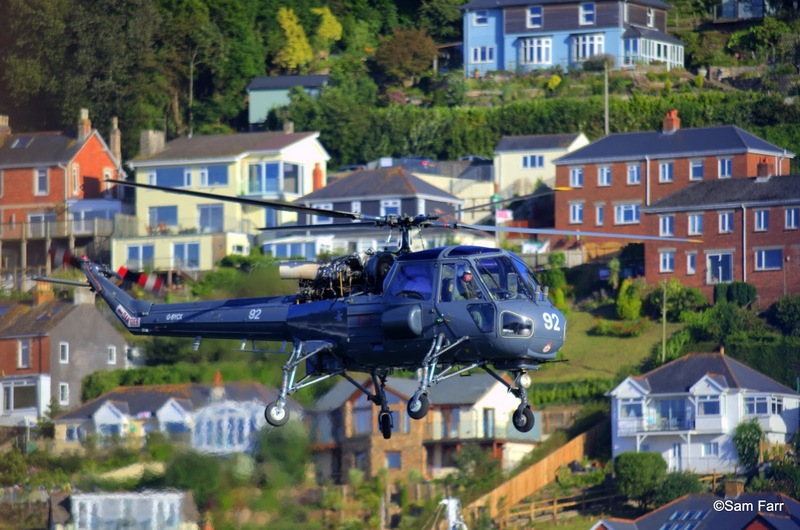 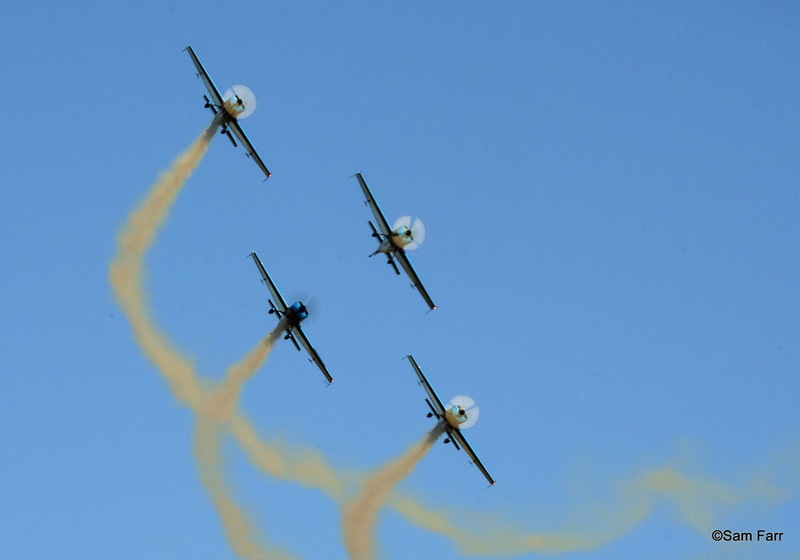 The Blades Aerobatic Display Team fly Extra EA-300s. 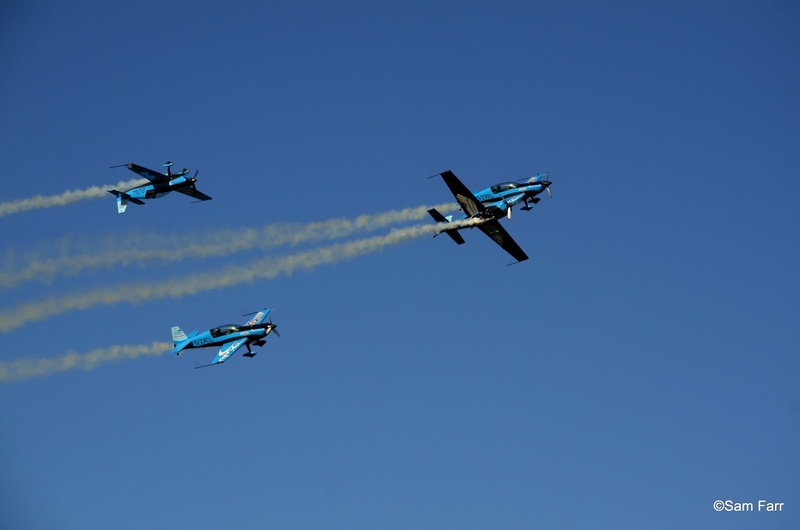 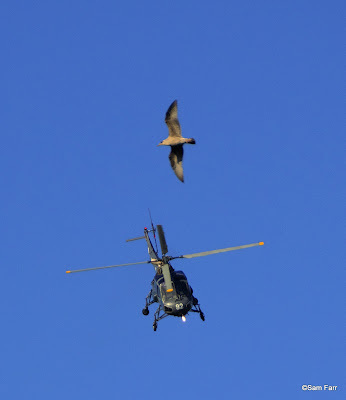 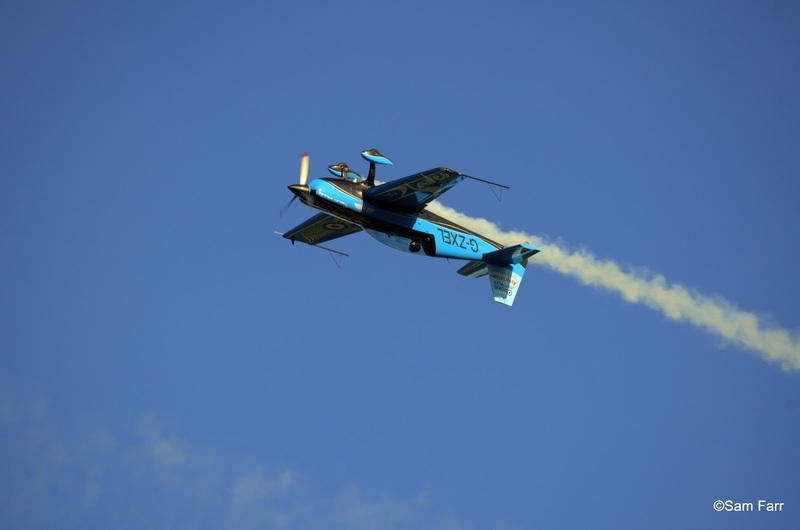 They are low-wing, high performance aircraft designed for the most adventurous aerobatic manoeuvres and created with advanced aerobatic flying in mind. A competitive aerobatic display pilot during the 1980's, Walter Extra decided to design and build the ultimate aerobatic aeroplane, with optimum structure, weight and performance and the forerunner of today's aircraft was born. 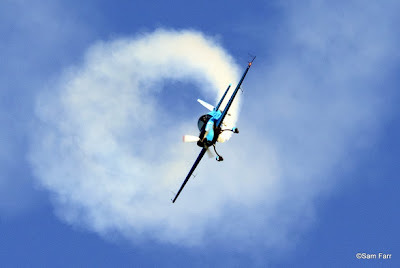 All pictures Sam and Wendy Farr.